Healing Waters Lodge has a reputation for being a superior fly fishing lodge in the Twin Bridges area. 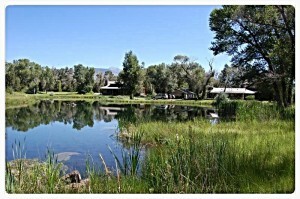 The lodge is located in the Ruby valley between the towns of Sheridan and Twin Bridges and has views in every direction, a casting pond and is surrounded by old cottonwoods. Everything about the lodge is designed with the comfort of our guests in mind.